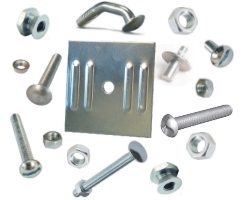 Street Sign USA offers a selection of hardware and fasteners designed for use with our signs & posts. We carry virtually everything you need to professionally finish your sign related projects! Mount your signs fast & easy with our line of hardware. Vandal resistant nuts & bolts to keep your signs safe and secure. Time saving hardware designed specifically for the sign industry.